Commercial Building Coping - SAF Perimeter Systems SAF – Southern Aluminum Finishing Co, Inc. 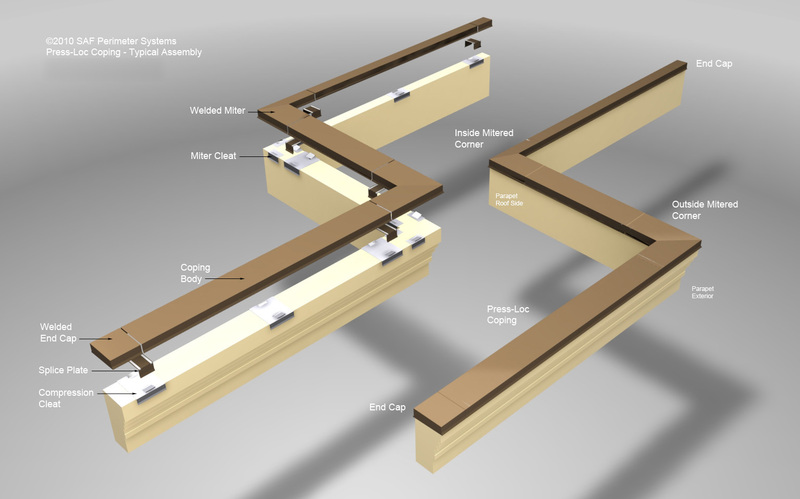 Custom fabricated Coping Systems from SAF Perimeter Systems offer customers two proven design choices. Both Press-LOC or CP Systems provide superior, maintenance-free protection for a variety of parapet wall types. For finishes, choose from 56 EZ Mix Kynar 500 standard colors, or a custom match. Standard 10’ lengths are typically pitched for positive drainage to a roof deck, but pitched, flat or peaked top profiles are no problem. Each style can be fabricated in a variety of metal types & thicknesses. 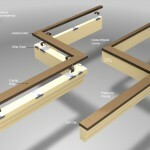 Additionally, 6” concealed splice plate joints allow coping to expand and contract to weather climate variations. Curved walls? No problem. We can custom fabricate Horizontal Radius‘ as well as Vertical Arches to provide a complete Architectural solution for today’s commercial building designs. 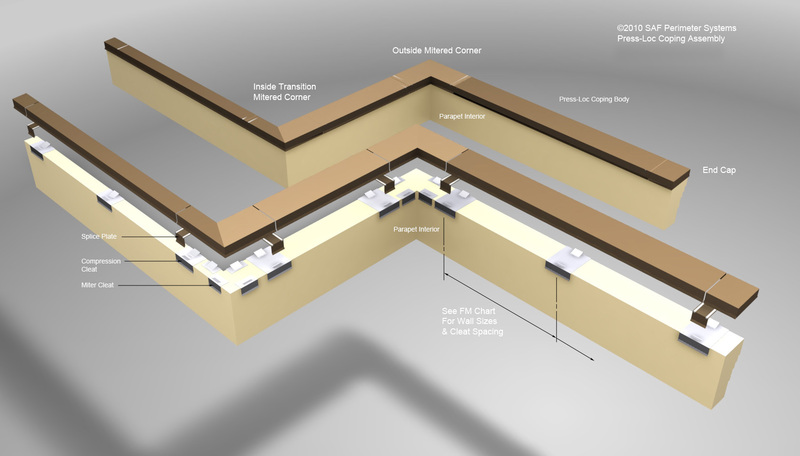 Download our Wall Radius Coping Template & Dimension instructions from the product information boxes below. Also, see SAF Arch and Radius Wall Applications. Features individual, compression cleats fabricated with heavy 16 gauge galvanized steel and stainless steal spring clips. Evenly spaced, Press-LOC compression cleats enable easy on site snap-on installation. No exposed fasteners. 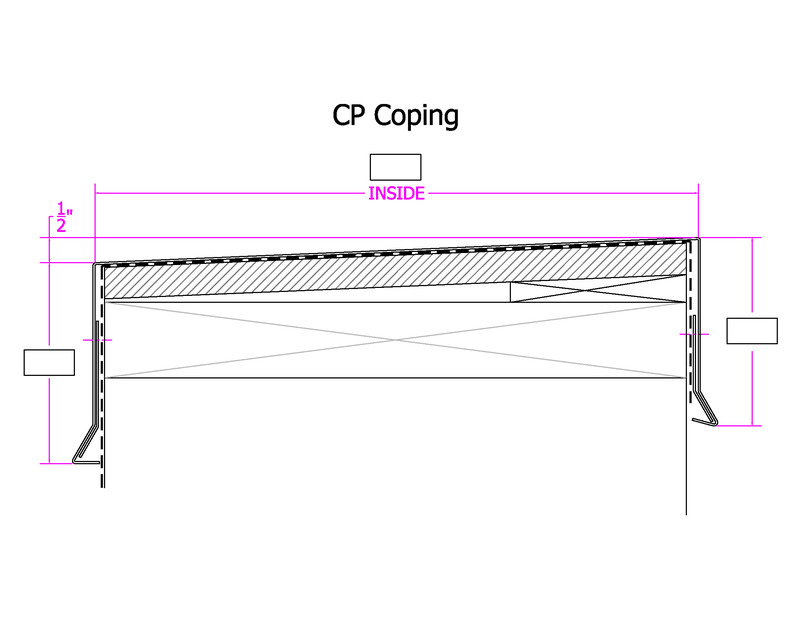 Additionally, Press-Loc Coping has been tested and certified to meet ANSI/SPRI/FM 4435/ES-1 Wind Design Standards for Edge Systems Test Method RE-3 for Copings. CP Style is a versatile, low cost, commonly specified coping choice. Features a continuous front and rear aluminum or galvanized cleats to secure coping by on-site crimping. As with Press-LOC, 10’ lengths may be ordered custom pitches or peaks. No exposed fasteners.